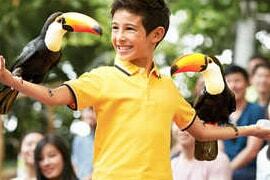 Explore more than 9000 unique and colorful birds that call Jurong Bird Park their home! With our convenient pass that includes hotel pick up and drop off, you can discover over 600 species of birds displayed in the park’s different zones, from African Waterfall and Lory Loft to Jungle Jewels Flight and Southeast Asian Birds. See and be in awe at unique birds like saddle billed storks, yellow-hooded blackbird, shoebills, and red-crested cardinal, among others, as you leisurely walk around this 20 hectares of verdant green space. This is the most ideal pick if you’re planning for a great long break. Stay in a hotel of your choice for seven nights and tour Singapore’s most renowned attractions including Night Safari, Universal Studios, Singapore Flyer and more. 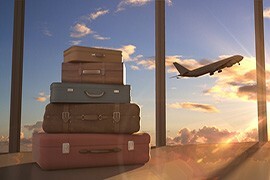 Your all-inclusive vacation also includes airport transfers which let you eliminate all stress of locating a reliable vehicle for your journey to and from airport. Experience the region’s multiethnic culture and be in astonishment at its glamorous cityscape views as you take a guided city tour. 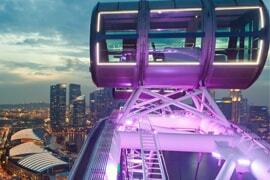 After sightseeing, head out to enjoy a ride in Singapore Flyer and feast yourself with the most captivating views of the surroundings. From Marina Bay, Merlion Park, and Raffles Place to even a glance of Malaysia and Indonesia, it allows you to take in the best of Singapore and beyond from the stunning ever vantage point. With a half-day Sentosa Island tour, explore the unsurpassed selection of experiences and sights that this lively island is famous for, including Madame Tussauds Museum, IOS Live, Wings of Times, and mostly, the exciting cable car ride. 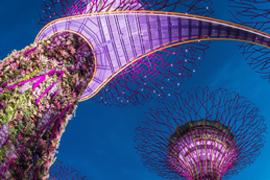 Also, take a refreshing escape to the futuristic nature park, Gardens by the Bay, and then mingle with a myriad of rare exuberant birds at Asia’s biggest bird sanctuary, Jurong Bird Park. The one-of-a-kind Night Safari, boasting over 2500 nocturnal animals, is another great highlight of your Singapore holiday. 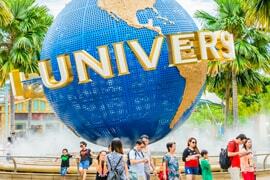 Most of all, you’ll get to immerse in fantastically thrilling experiences as you tour Universal Studios – the first Hollywood movie theme park in Southeast Asia. I and my wife had not gone on a tour for almost 5 years and wanted to take a break from our everyday life. The tour manager at Rayna Tours suggested this tour package for 7 nights, and we were hooked. We had such a great time. Loved the Singapore Flyer and Sentosa Island tour! The Night Safari was amazing; we loved every minute of it. All the arrangements made by Rayna Tours were great. Right from our stay to the transportation, everything was hassle-free. Two years back I had visited Singapore for a short official tour. But I did not have the time to explore the place. So, last annual holiday with my family, I decided to visit Singapore with this tour package as it offered a 7 nights stay and a chance to see all important places to see and things to do in the city. 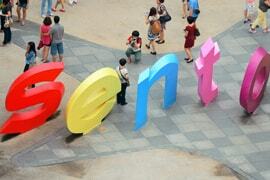 I personally loved all the tours although my kids loved Jurong Bird Park and Sentosa Island. Thank you Rayna Tours for this amazing package. Worth every penny we spent!